Screams of anguish as workers fled this Middleton Wisconsin office park. Unsure of where shots were coming from or who was being targeted. We had no clue on hearing the gunshots. It was scary. Marlene Beckham put her workplace on lockdown as first responders moved in. When they evacuated us, we came through the back stairwell which there was blood on the ground. Officers quickly zeroed in on WTS paradigm, a software company. 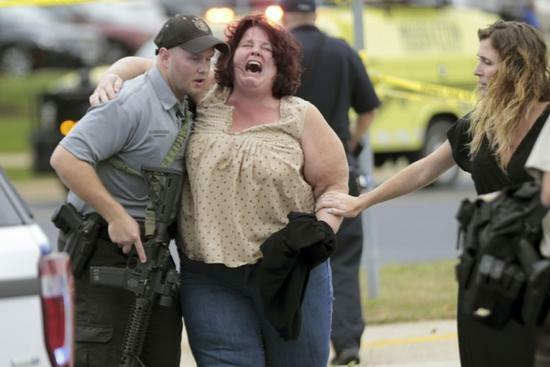 Authorities say the shooter was an employee wounding three colleagues before police shot and killed him. The suspect was heavily armed with a lot of extra ammunition and a lot of extra magazines. Tonight no motive but praise for officers whose four-minute response time is credited with saving lives. The corporal ignored him, sliding the empty magazine from his weapon and replacing it with a fresh one.